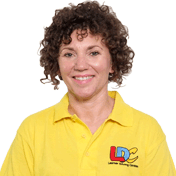 Lana is a wonderful driving instructor and I would recommend her to anyone. She was never late to any of my lessons and seemed to always have a smile on her face. She always puts you at ease and has confidence in you, even if you don’t! The LDC workbook and DVD were a fantastic help and I always had a clear idea of what my next lesson would consist of. 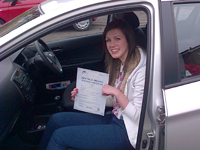 Thanks to all Lana's hard work and patience I managed to pass my test on my first attempt.